The best in Contemporary craft comes to Chester. 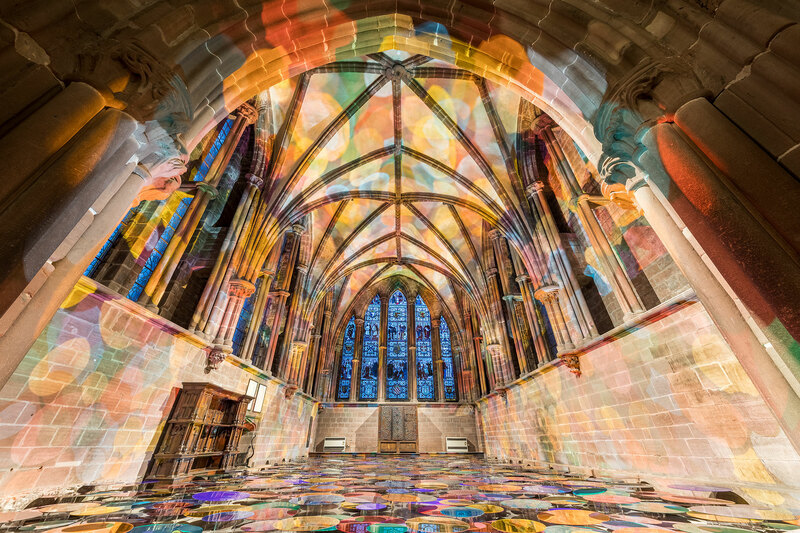 In February 2018 visitors to Chester Cathedral had a unique opportunity to see Liz West’s beautiful “Our Colour Reflection” installed in the Chapter House. Liz West’s work is powerful and immersive, experimenting with the relationship between light and colour, heightening sensory awareness in the viewer and provoking a deep emotional response. Following the huge success of the Ark Exhibition of modern sculpture in summer 2017, the Gothic architecture of the cathedral’s Chapter House provided the perfect setting for Our Colour Reflection. ‘Pop Art in Print', presented by Chester Visual Arts and curated by the V & A, brought together, for the first time, an international collection of Pop graphics featuring artists Andy Warhol, Patrick Caulfield, Richard Hamilton, Allen Jones, Roy Lichtenstein and Ed Ruscha. It also explored Pop in other media, including printed textiles from the period, wallpapers inspired by Pop’s strong graphic character and comic book styling, artists’ books and posters. 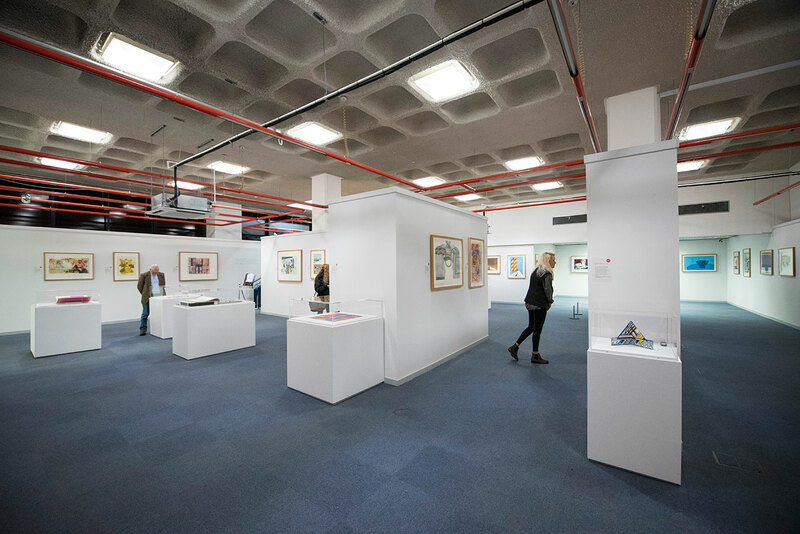 The exhibition concluded by taking a look at the legacy of Pop in the work of more recent artists and designers.